PowerShell is amazing, it is now possible to do all those things I know would be possible, but did require compiled code or time I don’t have (Still working as an consultant in the real world you know). In my line of work besides automation, flexibility is one other keyword and that is very often used in conjuction with Windows Server deployment. Now, Windows Server is also amazing, it is a multipurpose operating system and multipurpose also means that while client deployment is pretty standard these days, server deployment is not even close to that. In SCCM we have great OS Deployment (even better with MDT integration), but in many cases I’m not allowed to use it. MDT is very flexible and many orgs are using MDT for server deployment and SCCM for clients and they have their reasons, but MDT lacks some of the features that SCCM/MDT does have. We also have an upcoming star and that is SCVMM, while SCVMM has some of the benefits that SCCM have but MDT does not have, well you get the point. But, if you could have bits and pieces from each and every one, and does not require an investment in System Center knowledge, what about having only Active Directory. 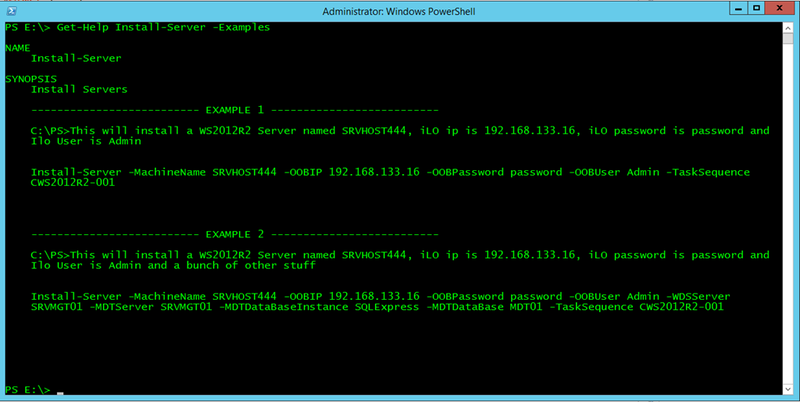 Windows Deployment Services, DHCP/DNS, MDT and a PowerShell script? Wouldn’t that be nice? One last thing, this is not for beginners, you really need to understand the bits and pieces this time.